First of all Watermarks are optional. Your account may or may not be configured with a Watermark. Watermarks are are pre-configured (in your account settings using a graphic that you have supplied) and saved on a 780px square transparent canvas in your account configuration. Note: Brandkit support will configure this for you. You can check whether a Watermark is configured by checking the Account Details & Stats report (Admin access required). Contact support@brandkit.io if you need a Watermark setup or updated. When you upload an asset we generate thumbnails (proxy images) used in the web interface to represent the asset. If you choose to add a watermark, your configured watermark is applied to the larger thumbnail. This thumbnail is used in the asset detail pages where a larger version of the thumbnail is used. We don't show the watermark on the smaller thumbnails seen in the search results as the images are too small to be concerned about screen-shoting a copy and it give a cleaner less cluttered look. We scale the thumbnail to 90% of the height or width of the thumbnail image. As seen below. 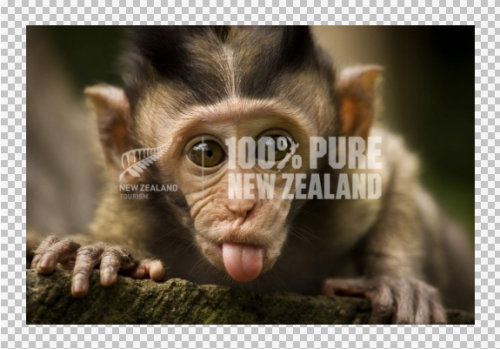 The Monkey poking his tongue out was uploaded as larger than 1200px image and theSmiling Monkey as an undersize image. 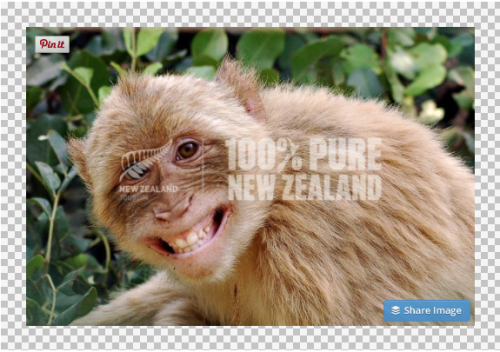 While the generated thumbnails are two different sizes (1200x800px vs 800x553px) the Watermark is scaled proportional to the thumbnail size so looks the same size relative to the thumbnail.